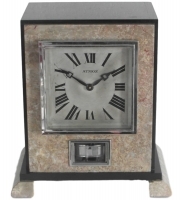 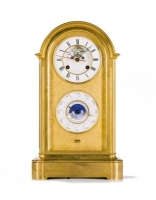 A very fine hour repeating carriage clock with half hour/hour self strike and Limoge panel produced for the English market. 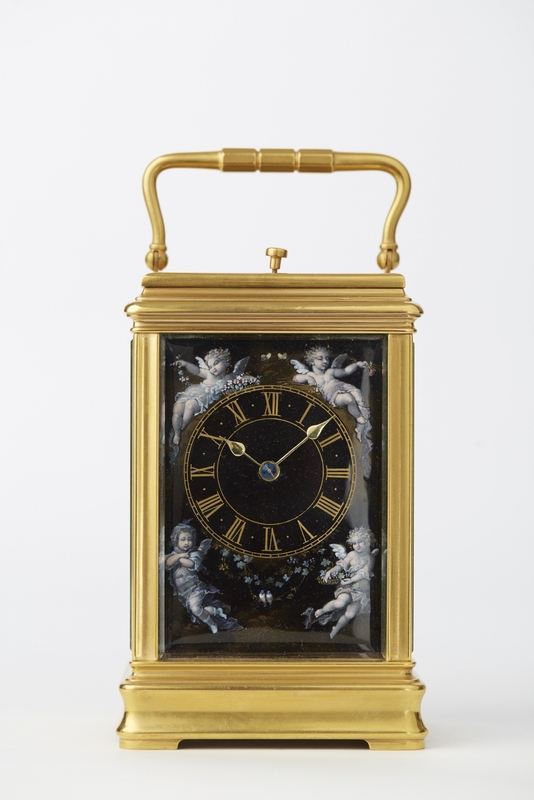 Case: brass, gilt, moulded, facet glazed on all sides and the top, waved handle with fluted middle part. 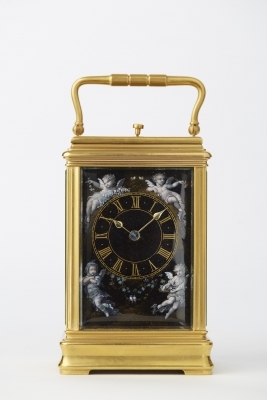 Dial: Limoges enamel dial, spandrels with painted textured putti with wings and girlands, representing the four seasons, gilt chapter ring with radial Roman numerals, spade hands. 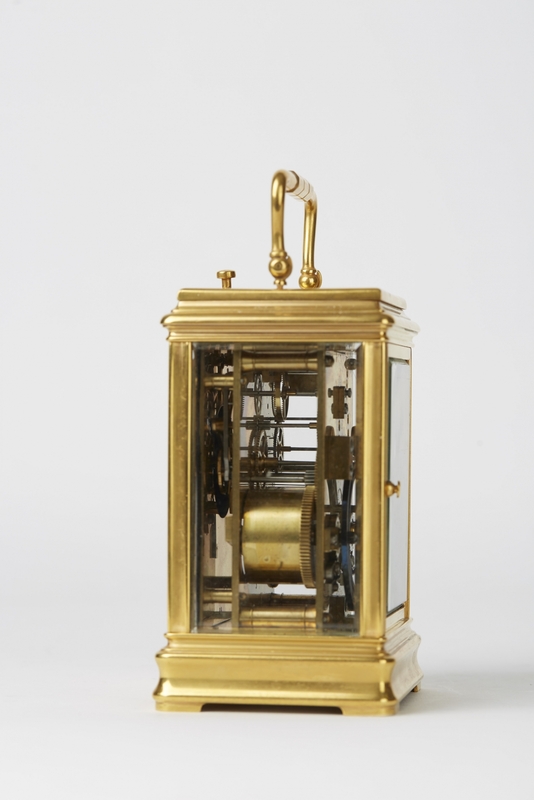 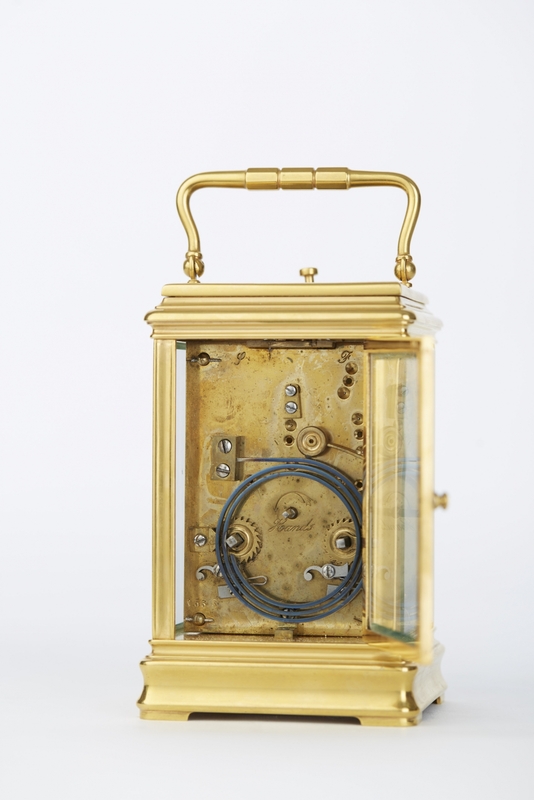 Movm: rectangular brass full plate movement, gilt, keywind, 1 hammer/ 1 gong, 2 barrels, platform with English lever escapement, screw compensation balance.